This blog isn’t called Diary of a Chocaholic for nothin’. I love the thing, could eat it every day (and kinda do…). Since I was a teenager and first discovered brownies at my local Casino shop, I’ve been addicted to the stuff. However, I’d never tried to do one myself. 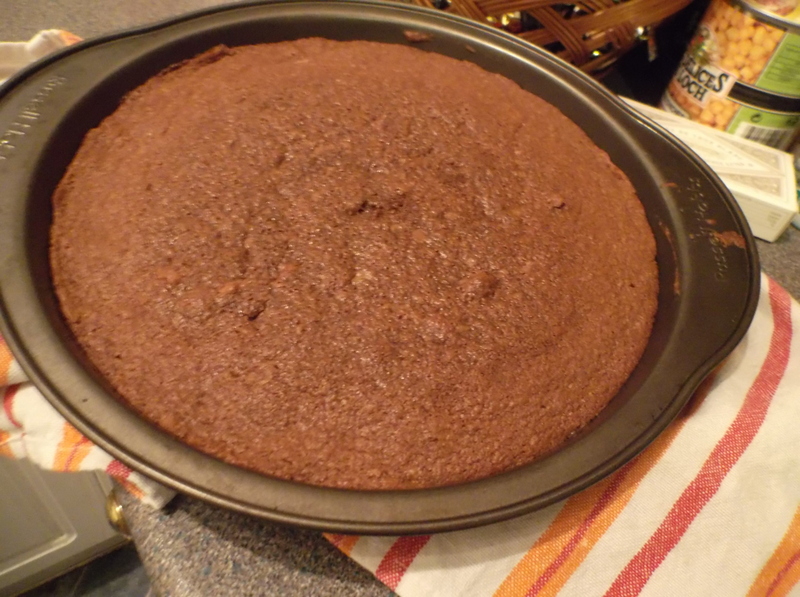 I’m really good at chocolate cake (which is really the same thing ingredients wise), but brownie isn’t fully baked and that can sometimes backfire. Preheat the oven to 170°C. First, melt the butter a little in the microwave. Low setting for one minute usually does it. 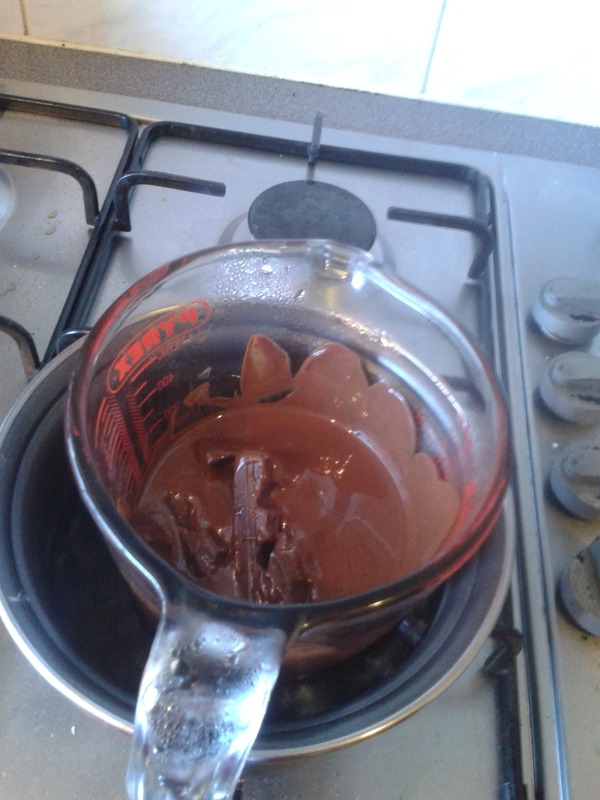 Simultaneously, melt the chocolate using hot water (bain Marie). Pour the butter, sugar and eggs in a mixing bowl and start stirring. 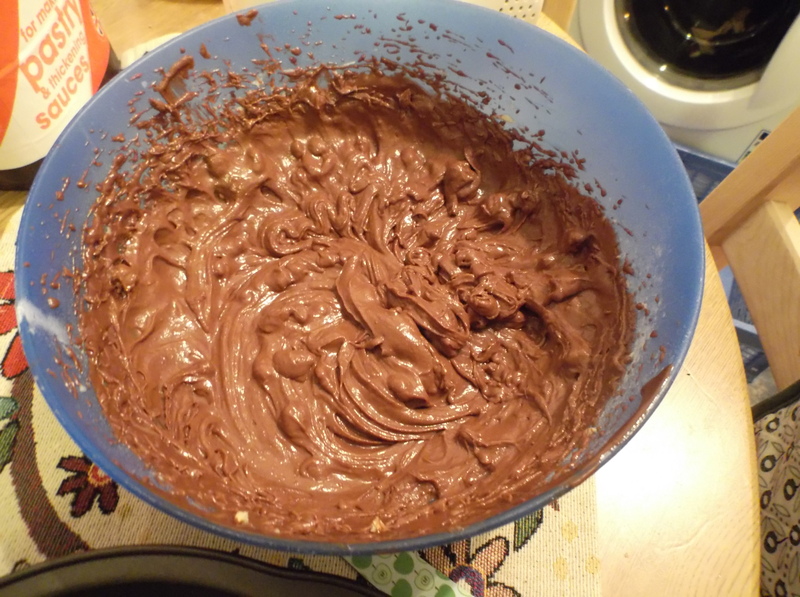 Slowly add the flour (watch out, it goes everywhere if you’re not careful) and finally add the chocolate. Mix well until it’s an even mixture. Cut the nuts in small pieces (depending on how big a piece you’re willing to chew on) and drop them in. Then give it a quick whirl again, so there’s nuts everywhere, but they haven’t been shredded to smithereens. 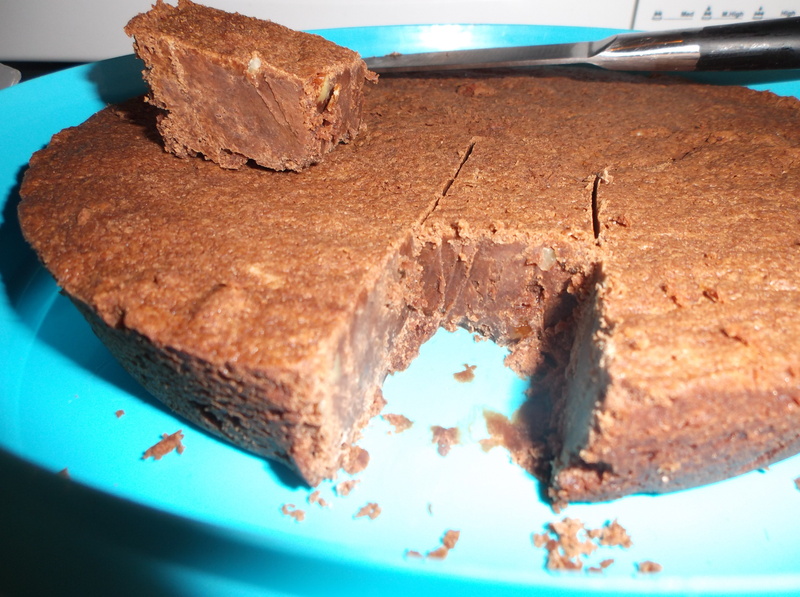 Pour the mixture in a brownie tin (round or square) with a high edge. Put it in the oven for 25 to 35min until set. Stick a knife in the centre and check. As opposed to a normal cake, you want there to be some mixture sticking to it. Take the brownie out and let it cool. Some people like it hot (I know my movies ;)) so just wait half an hour or so before eating it. Personally I prefer it cool, so I stuck it in the fridge after it had cooled and left it in there for a few hours. It tasted best after it had come out of the fridge and stayed all day in the office. Room temperature and just melting between your fingers as you tried to scrape it out of the Tupperware. Newt time I’ll try it with walnuts! 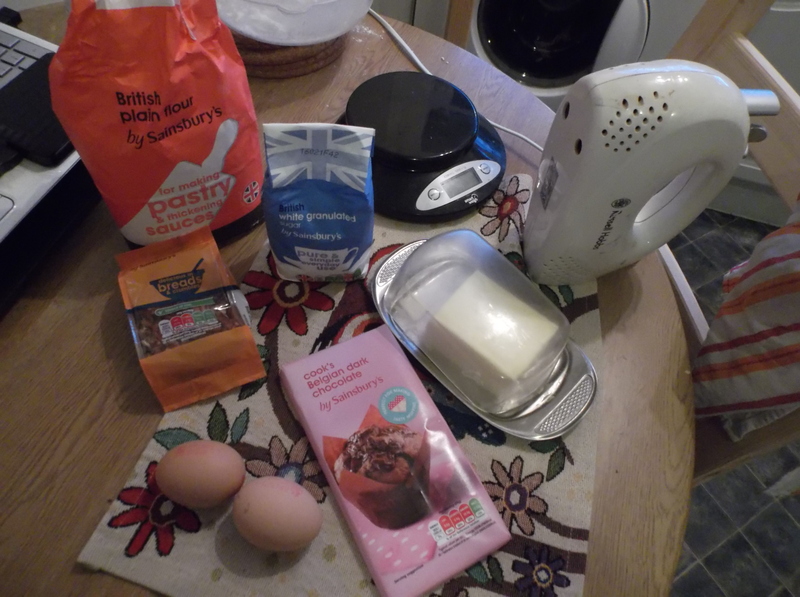 Tags: baking, brownie, butter, chocolate, oven, pecan. Bookmark the permalink.